Miniature cards are a new standard that is designed for memory and data storage. These cards are even smaller than the Compact Flash but there is no planned support for peripherals. They were designed to reduce the cost of data storage and increase the ruggedness of the cards. They have no pins or holes for pins to go in, unlike PC Cards or Compact Flash. Currently there are very few devices that use Miniature cards but one of them is the Philips Velo. It uses Miniature cards for ram expansion and flash data storage. 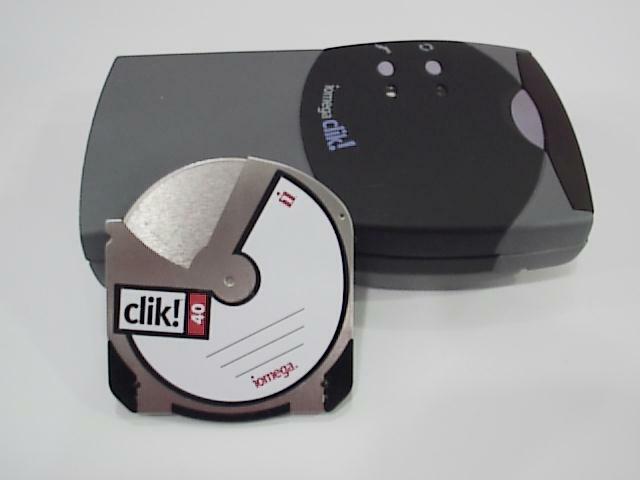 This revolutionary product will allow users to store up to 128mb of storage in a very small package called a data card. OROM (Optical Read Only Memory) is very fast - similar to a hard disk but there are no moving parts! 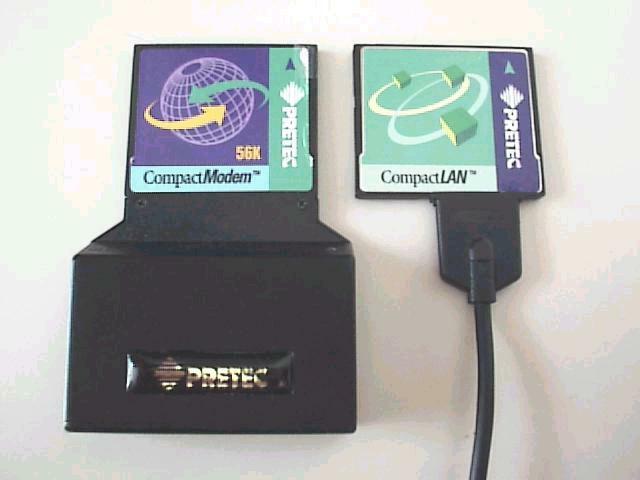 This technology is similar in function to the CDRom for desktops and laptops. It will allow you to carry around a lot of information and access it quickly. Microsoft has invested in Ioptics and there has been discussion in the press about using the OROM with Windows CE. According to Ioptics, they are expecting prototypes by the end of this year. Production units are expected 4Q99. 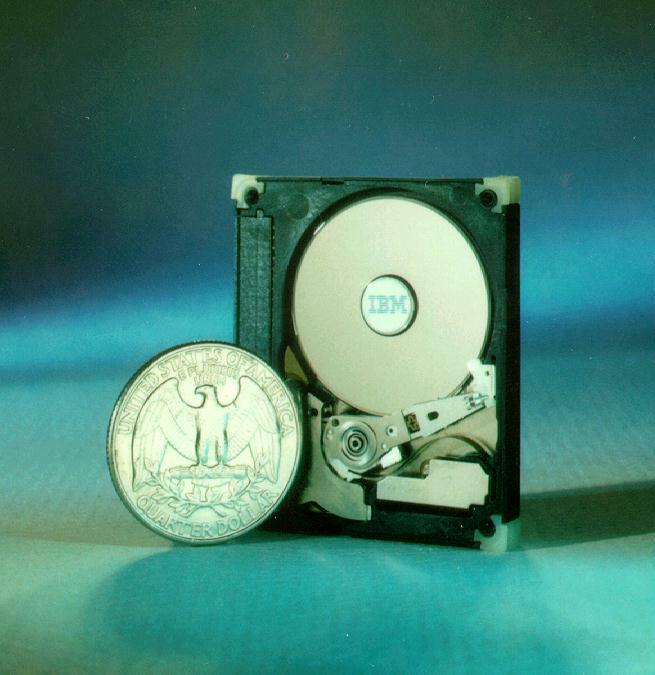 The IBM MicroDrive is 170, 340, or 1,000 MB CompactFlash CF+ type II hard disk. It is the smallest hard disk, weighing less than an AA battery (20 grams) and will be able to be used in digital cameras as well as handheld or "companion" PCs. It spins at 4500 rpm, seeks at 15ms, and uses Enhanced Adaptive Battery Life Extender 2.0 power management to extend battery life. It uses 3.3 volts at 500 mA to operate which is more than most current handheld devices can provide. Currently Canon, IBM, Hewlett-Packard Company, Hitachi, Ltd., and Minolta Co., Ltd, are evaluating using the MicroDrive in future devices. Halo Data offers the first and smallest hard drive in their MicroDrive. 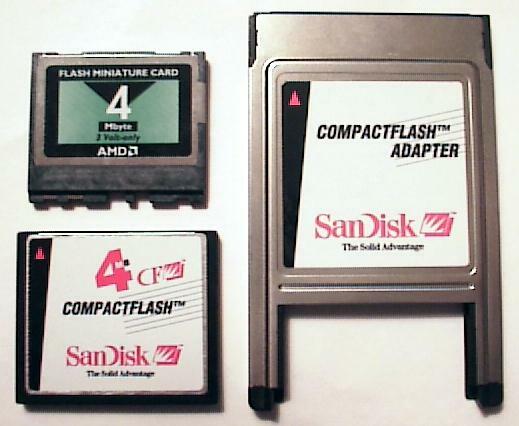 It is a Type I CompactFlash hard disk with 250 MB of data storage. 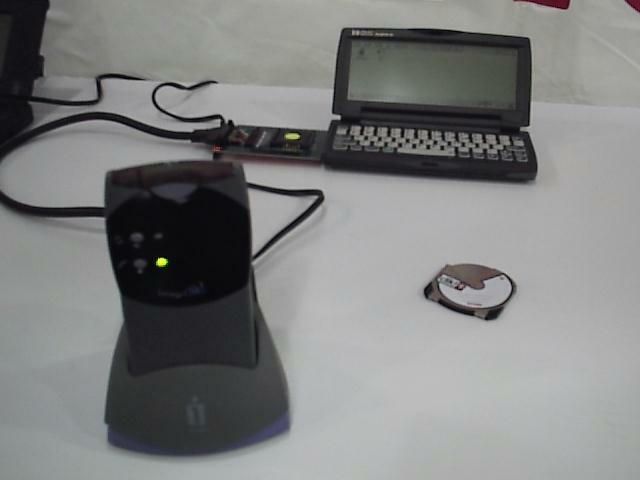 With power consumption of 250 mA in write and 50 mA for standby it uses less power than the IBM MicroDrive listed above. The current price is anticipated to he $299. It also appears rugged with the ability to withstand a 200 G shock while operating and 1000 G shock while not operating. Look for the Halo Data MicroDrive in the near future.